When I was a girl, there was a time when I thought I might be called to religious life. I thought I might be a nun, but realized not long after that feeling cropped up that, truly, I was called to be a wife and mother. But I’ve always remembered that little voice about religious life, and have wondered more often in recent years what that might have been about. Since I started homeschooling my children, my faith has grown and changed and become deeper than it once was. The religious education materials we use have been wonderful starting points for me to learn more about the Church: Her history, Her Saints, Her teachings and doctrines. I learned what that Brown Scapular was that I got for First Communion and what a sacramental is. I found out why we honor Mary and how to explain and differentiate this honor with worship when asked about it by Protestant friends. I learned more about what the Creed means and where it came from. And I hungered for more. A parish nearby had a class based around Understanding the Scriptures, and my husband took it. Since I couldn’t go – our children were both under eight at the time – I found an online podcast of the class and listened to it, scribbling notes in my Bible furiously as it went along. When our parish took a year and presented The Great Adventure Bible Study, we brought the girls to the DVD sessions and let them sit in on group discussions we hosted in our home. I started reading encyclicals (did you know the popes wrote letters to the Church? ), I started watching EWTN, I started reading about the saints more often. Then I met some people who called themselves strange things. First, it was online: Barb, a Secular Franciscan. Christina, a Lay Carmelite with a funny blog name. When my husband went through RCIA, a deacon spoke to his class about what it’s like to be a Lay Benedictine. And I realized that there’s this neat thing in the Church where people live according to a certain lifestyle (a “rule”) of a particular religious order. I had some interest, but not a lot came of it. Early in June, our parish had a trip to the Cathedral for the ordination of priests. Our parish had hosted one of the men to be ordained, and so our family got up and were at the parish by 6 AM to ride the bus to Richmond and arrive in time to sit down for the Ordination Mass. The next day, we were sitting at the monthly parish brunch with our friends and I was talking about what a great time we had at the Ordination, and how I saw some Dominican sisters in their long habits at the reception. I recounted how I went up to tell them how very happy Dominican sisters made me whenever I saw them. It’s true! For years now, whenever I see Dominican sisters, I get all happy inside. They make me feel joyful! 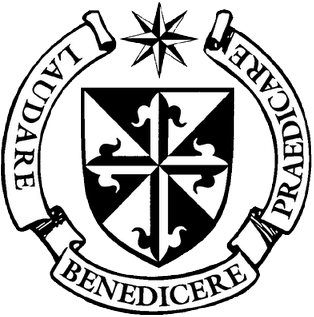 Everyone from the Sisters of Mary, Mother of the Eucharist (who’ve been on Oprah and have a regular Catechism show on EWTN Kids) to the Dominican Sisters of St. Cecelia in Nashville – I always smile when I see them. My heart skips a beat, and I just want to go hug them! Now, I’d known for more than a year that my friend had been studying to become a Dominican, and she’d made her First Promise in January. And for the first time, I didn’t just dismiss it out of hand. Which was going to be impossible anyway, since there was another Dominican at the table, who also started telling me how much I’d enjoy it. They ganged up on me!! I said, “Okay, what time do you leave?” knowing that they actually have to drive to Charlottesville to attend Chapter meetings. Be solicitous to make your call and election permanent, brothers; surely those who do so will never be lost. On the contrary, your entry into the everlasting kingdom of our Lord and Savior Jesus Christ will be richly provided for. Oh, my. Then I went to the meeting, and we broke into small groups for a short time before a group session with a presentation by a Dominican brother (a seminarian) who was to talk about Pope Benedict XVI’s three encyclicals. I was asked before the brother’s presentation to consider becoming an “Inquirer” and beginning formation to become a Lay Dominican. I talked to the man who would be in charge of the group, beginning officially the following month, and held off purchasing the necessary study materials. The presentation started, and something fascinating happened. Unlike most presentations and classes at my parish, where most people listened to the information intently, but did not take notes, nearly every person present pulled out a notebook or computer to take notes! I wasn’t prepared, and a nice woman pulled out paper for me without me even asking and passed it over so I could do what I love best during a lecture: furiously put everything I possibly could on paper. Oh, my goodness, I was among some real geeky people! NOTE-TAKERS! Catholic geeks who like to learn stuff and take notes on it! Dude, you have no idea! At the break, I bought my materials for formation in the bookstore. I was due for Confession, so when we got back, I did that with my pastor, who knew I was going to the Dominican meeting, but hadn’t seen me since I mentioned it earlier in the week. During Confession, he said to me at one point, “God will always provide you the means to grow in holiness and become closer to Him.” At this point, I realized I was doing the right thing. So here I am, a little more than two months away from possibly being received as a Lay Dominican. I’d still have a year before I made First Promises, which is still only a preliminary step (and not yet permanent). But I really feel like I’ve found a spiritual home. This isn’t to say it isn’t challenging or that I’m even doing a really good job at everything. I still struggle with getting to Mass daily, and there are days that I realize I’ve forgotten a Rosary. But I’ve been pretty consistent with my Divine Office readings for morning and evening prayers (especially since I purchased this), and I am enjoying the idea that I need to study. Really, I see it as I get to study! I get to study the Church, Her teachings, Her Saints, Her history … I get to learn from the popes and saints and from the Dominican brothers who come and talk to us. And all the while, I strive to grow in holiness and discipline. And I have people to help me along the way, too. Even for a Hobbit like me – a Hobbit who hates early mornings – this is a great thing. And I think I’ve finally discovered what that inkling about religious life I had as a child was really about. Daria Sockey has great information on the Divine Office, too! I loved reading your story of how you were introduced to the idea of third orders and to the Third Order Dominicans! My prayers are with you during your time of formation. Nice to see our extra Charism of JOY so well expressed. The most ‘stroadinarily reverend Abp. Augustine DiNoia, OP said recently this is a “Dominican moment.” I think it may well be a Benedictine, Carmelite, Carthusian,and Franciscan moment as well, but it is certainly a time when constantly converted, informed, prayerful and APOSTOLIC Catholics are obviously needed. There is work to be done, the kind of work best done by squads of like minded people who work in their small section of the front while not losing sight of the battle as a whole. By the way: No fair knowing a WHOLE lot more than your “Formation Director”. We have tender egos and self-esteem issues y’know! 🙂 Drive on, almost sis! Know more than you, Harry?? Not remotely likely. I usually stand in awe of your daily posts and motivations. Christine, Thank you for sharing this experience. Happy for you that you found a “home”. This is awesome! Hello, Christine. I read your comment this morning about being a lay Dominican, and was amazed that such a thing was possible! I, too, felt a call to the religious life: Once when I was a little girl about five years old, and again in my early 20’s. Like you, I realized I was called to be a wife and mother. I left the Catholic faith for over 30 years. But just this past year, I took RCIA classes, and in the spring (April 2012) I was confirmed in the Catholic faith. My husband and I were also married by a Catholic priest just before the Confirmation ceremony. My joy at returning to the Catholic faith of my childhood has been profound. I have felt deeply drawn to prayer, and found your commentary while looking up information on the Divine Office. Best wishes to you in your spiritual journey! I will look up information on third orders. Thank you! Holy Moly Cow! Yes, I just made that up! I am going to my first meeting with the Lay Dominicans in my area on 9/12. I came “here” really to read what you wrote this week for #LawnChairCatechism and the words screamed at me “SHE’S A NEWBIE TOO!! !” so I went to look and sure enough in your sidebar, I found this! What a wonderful story!!! I met another Lay Dominican @lifeofacatholiclibrarian.blogspot.com/ very sweet, very kind, eclectic and funny! She’s in Region 3 and I will be Region 4. I just visited with them on their retreat at the end of July. I can’t tell you how I floored I was at the mass they gave for final promises and those advancing. Everyone wanted to be there, everyone was singing so joyously. They are all readers, writers and thinkers. They even had a handout with notes (that of course I tried to grab a copy of to no avail because everyone took one!) I knew I needed more. So…I will keep you posted on my journey. 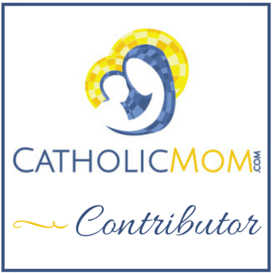 I am so glad to have “randomly” picked your blog this week on catholicmom.com’s link up. Random…Right! Holy Spirit!